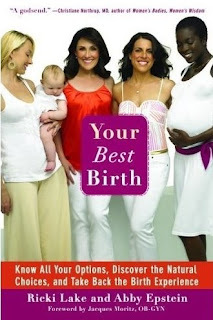 If you are pregnant or preparing to have a baby in the near future, I highly recommend you pick up a copy of Your Best Birth by Ricki Lake and Abby Epstein. Written much like a conversation between friends, Your Best Birth is all about your options during your pregnancy. From doctors and hospitals to homebirths and midwives, these ladies open up about their personal experiences and discuss the pros and cons of many modern birth procedures. Every chapter will build your knowledge and confidence to make the right choices, whether you choose to deliver at a hospital, at home or at a birth center. GIVEAWAY: We had 10 copies of this book to giveaway to our readers. Congratulations to our winners Elita, Laura, Tanya, Kim, Kim, Kamille, Carey, Joanne, Leah and Billie.